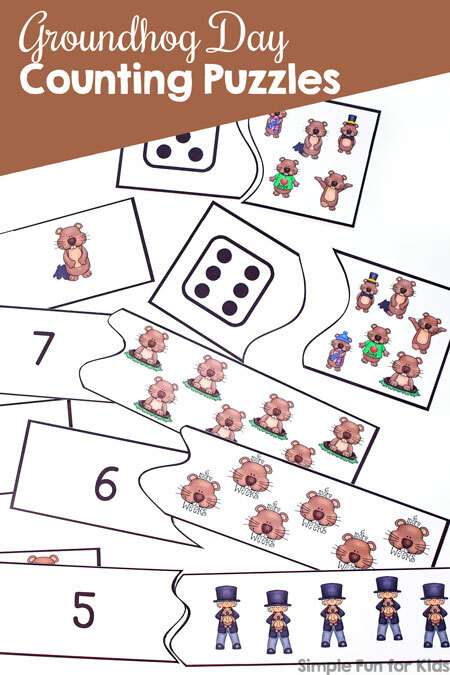 Today’s groundhog-themed printable focuses on counting up to 12 with numerals and up to 6 with dice for a total of (18) 2-piece Groundhog Day Counting Puzzles. 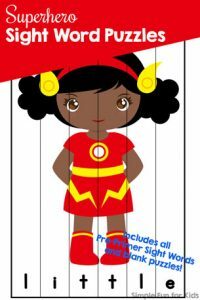 Printable PDF file (download below). 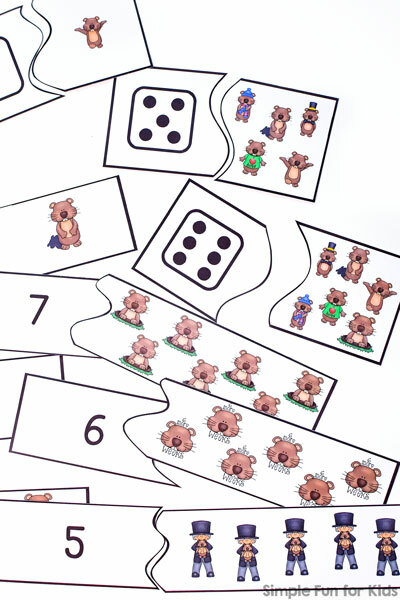 The pdf file contains (18) 2-piece puzzles on four pages: (6) 2-piece puzzles with a die face on one piece and the matching number of groundhogs on the other piece and (12) 2-piece puzzles with a numeral on one piece and again the matching number of groundhogs on the other piece. 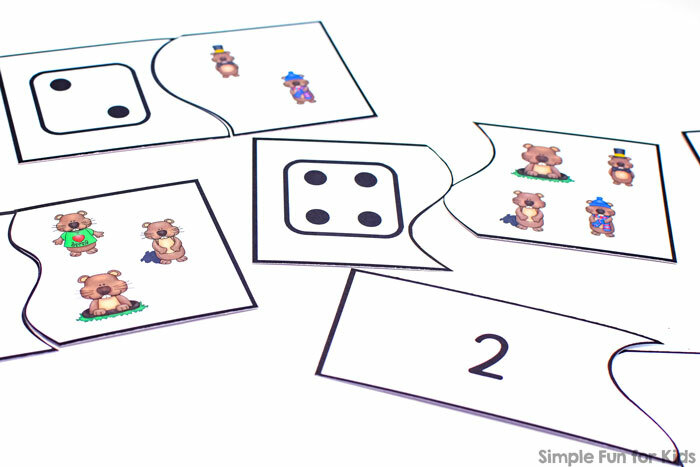 Each puzzle uses a different shape to connect both pieces, making the puzzles self-correcting. Print out the page(s) you want to use, laminate for durability and better handling if you want, and cut the puzzles apart at the black lines. 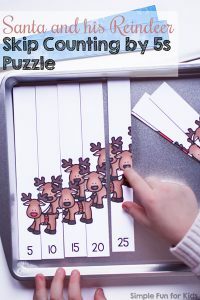 doing one puzzle at a time, counting the images together, and discussing the numbers and pictures (that’s how I introduce the puzzles to my toddler). using several puzzles and putting them in ascending or descending numerical order. 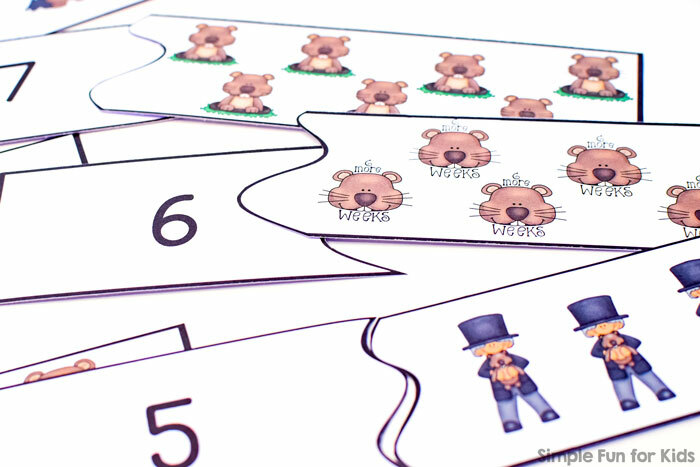 Download your Groundhog Day Counting Puzzles! 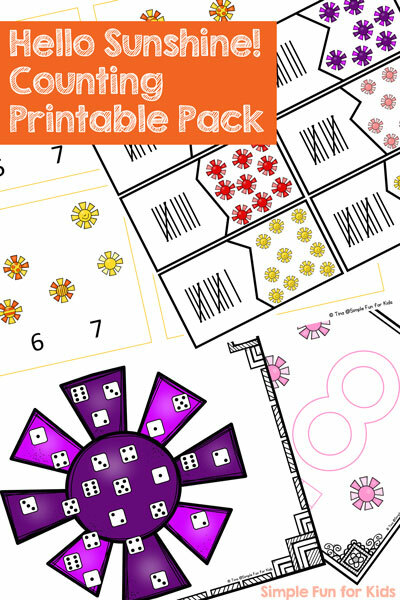 Please enter your name and email address to subscribe to my newsletter and download your free printable! You can (of course!) unsubscribe at any time. 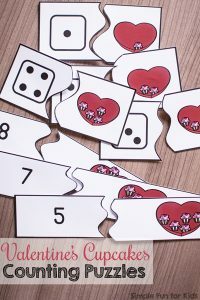 All of the printables in the 7 Days of Groundhog Day Printables for Kids series use the same set. 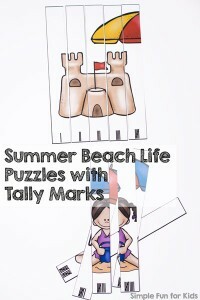 Are you looking for more puzzles? Here are a few others!